The modular industry includes two distinct types of modular buildings: temporary (or relocatable) modular, and permanent modular. Temporary modular buildings are structures that meet interim needs for additional space and can be either leased or purchased. 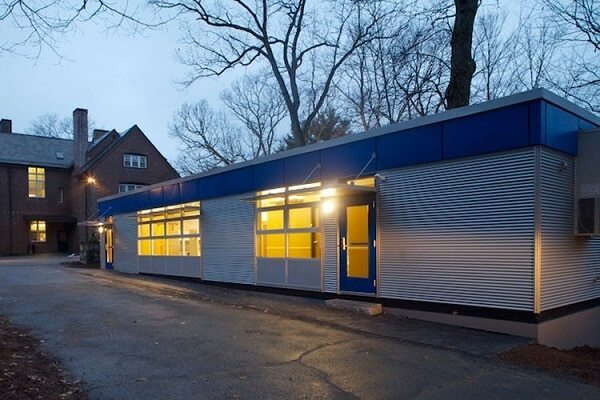 Job site trailers, temporary classrooms, temporary offices and swing space are examples of relocatable modular buildings. Temporary buildings are capable of being relocated and repurposed which provide the ultimate flexibility to those with changing needs. Permanent modular construction is an alternative building method to conventional onsite construction. It is comparable to site built methods in that it meets international and local building codes and is capable of achieving the same or improved standards of quality. It is manufactured off-site in an efficient factory environment in significantly less time. Today modular construction offers building solutions for all types of uses. From Classroom Space, Faculty Offices, Broadcast Centers, Housing, Dorm Space, iLabs, Medical Labs, the list goes on. The Modular Building Institute is a terrific resource for those who are looking to learn more about the modular industry. As the Voice of Commercial Modular Construction, it is MBI’s mission to expand the use of offsite construction through outreach and education to the construction community and customers, and recognition of high-quality modular designs and facilities. Visit modular.org to learn more. Download Whitepaper “Design for Modular Construction: An Introduction for Architects” today!